Just to recap, we posted an article a while back in celebration of the arrival of Polygon Pictures’ BLAME movie heading to the service. A lot has happened since then. There’s currently no updates regarding the anime ID-0 so it won’t be mentioned in this list this time around. Today Netflix held a conference in Japan hosting the latest anime titles heading exclusively to the service throughout late 2017 to 2018. Half of the titles shown are proper Netflix produced while the other half are streaming exclusively. These are all heading worldwide as well so don’t expect them to appear on other services like Crunchyroll or Amazon. In Japan in the year 2035, an accident known as the “Burst” occurs during a research project, spawning an out-of-control artificial life form called “Matter” that has spread throughout the Kurobe Gorge. The research city that was once hailed as the hope for humanity is cordoned off by the government. Two years later, 15-year-old Aiko Tachibana, who lost her family in the Burst, learns something unbelievable from Yuya Kanzaki, a new student at her school. A secret is hidden within her body, and the answer to the puzzle lies at the “Primary Point” that was the center of the Burst. When boy meets girl with the fate of humanity in their hands, what new truth will come to light? From studio Bones we have a new original series called A.I.C.O. -Incarnation- with director Kazuya Murata helming the project. There will be 12 episodes produced for this Netflix Original show. The plot revolves around an investigator looking into a mysterious criminal organisation and a serial killer called Killer B. From studio Production I.G. 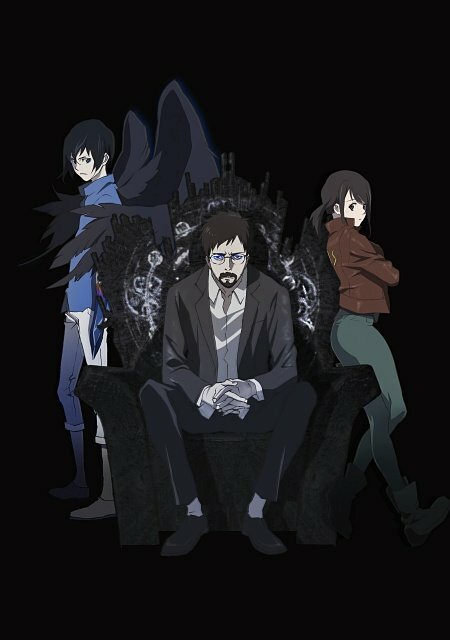 comes the first known Netflix Original show originally under the name Perfect Bones with director Kazuto Nakazawa and Yoshiki Yamakawa. The show will have 12 episodes. The arc features underground ring fighters in the no-rules combat environment of death row convicts. 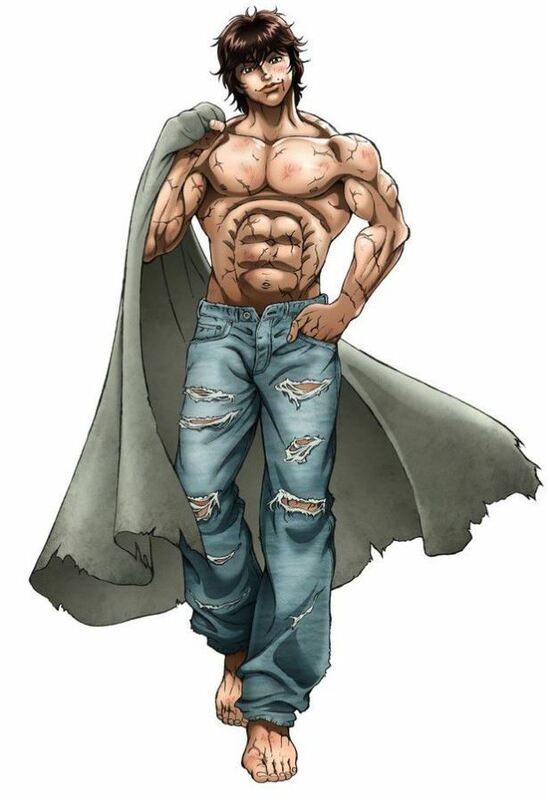 Based on the 1999 manga Baki: New Grappler Baki (which is a sequel to the 1992 manga Grappler Baki), the new anime adaptation will adapt the “Most Evil Death Row Convicts” arc. 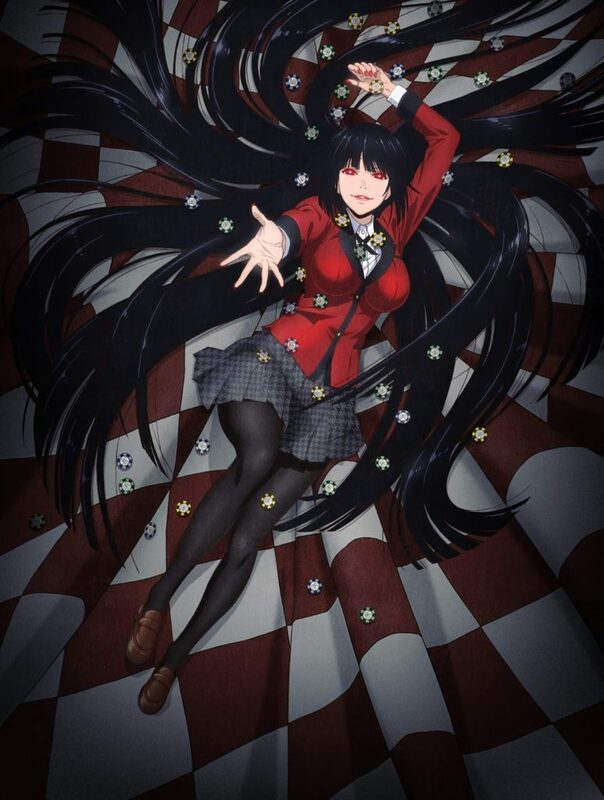 There will be 26 episodes produced from TMS Entertainment and is also part of the Netflix Original line-up. One bright fall day, young Takisawa Noboru transfered to over to Honjakuniku High, arriving an hour after the start of classes as the principal instructed him. Everything seemd to be going fine, until the mildly overzealous hall monitor Jonichi Koichi decides to charge him with tardiness, and administer punishment…see in THIS high school, any argument can be won through sports or combat, leaving Takisawa in a bit of a pinch until the lovely Yukari steps in and saves him from making himself even later than he is. But that’s just the start of Takisawa’s troubles…the school tough, Ibuki Saburo, has set his sights on both mashing the new meat to a pulp, and winning the hand of Yukari away from any potential suitors…in the boxing ring! Will Takisawa be able to defeat Ibuki, win the love of Yukari, and still make it to Calculus on time? Of course, it’s all in a day’s work for a Blazing Transfer Student! Based on the 1983 manga Honoo no Tenkousei (translated as Blazing Transfer Student), this is a new adaptation of the source material. Follow the adventures and exploits of S.A.M, a high-end, royal-class, friendship droid who’s joined by a quirky, discarded maintenance robot and a brash, deadly fugitive. Together, the unlikely trio embarks on an unforgettable journey in a fantastic and dangerous world in search of S.A.M’s best friend, the heir to a powerful kingdom under siege. 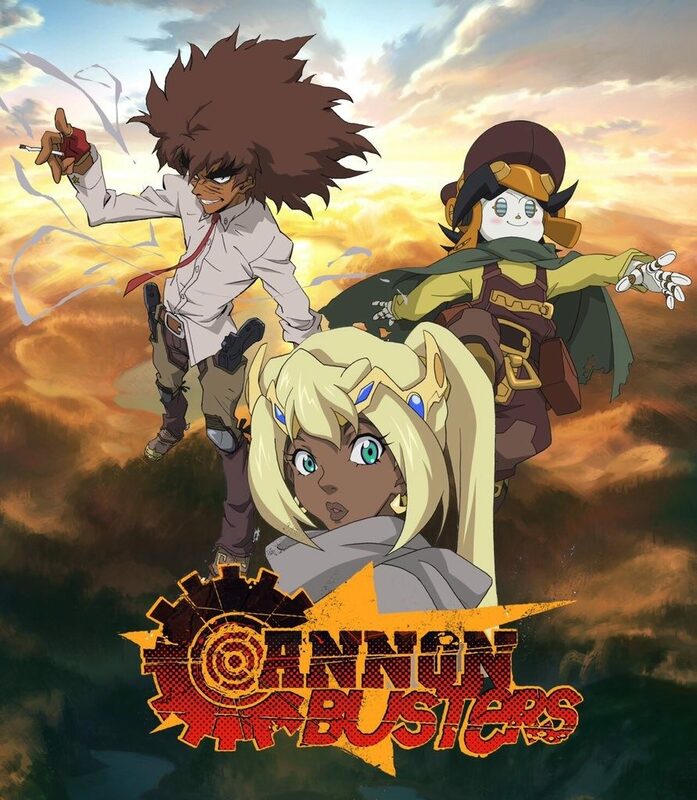 Following a successful kickstarter, American comic writer LeSean Thomas collaborated with studio Satelight and UK distributor Manga Animatsu to produce an animated adaptation, and Netflix has stepped in to offer more with 12 episodes as part of their Netflix Originals line-up. Creator LeSean Thomas even commented that he preferred having a Japanese studio over an American studio for more trans-genre exploration when adapting his source material. Chakuro and his friends have stumbled across other islands, but they have never met, seen, or even heard of a human who wasn’t from their own. 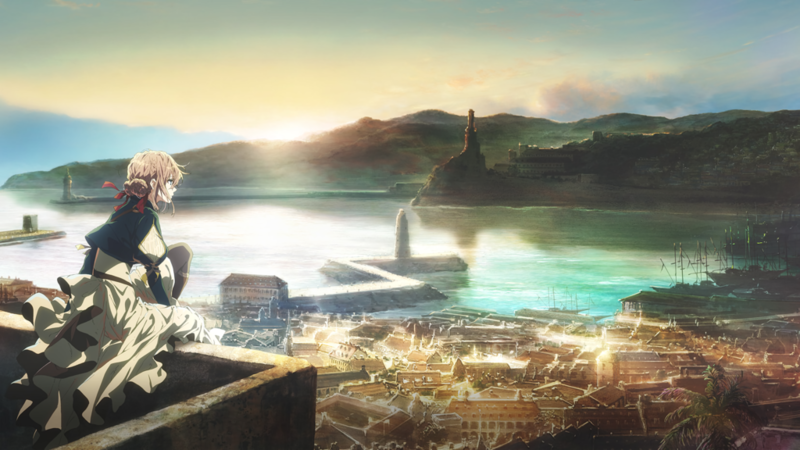 One day, Chakuro visits an island as large as the Mud Whale and meets a girl who will change his destiny. Announced a month ago, Children of the Whales is based on the manga of the same name and will be adapted by J.C. Staff and director Kyohei Ishiguro. The anime is set to air this Autumn 2017 in Japan but Netflix will be streaming the show outside the region sometime in 2018. 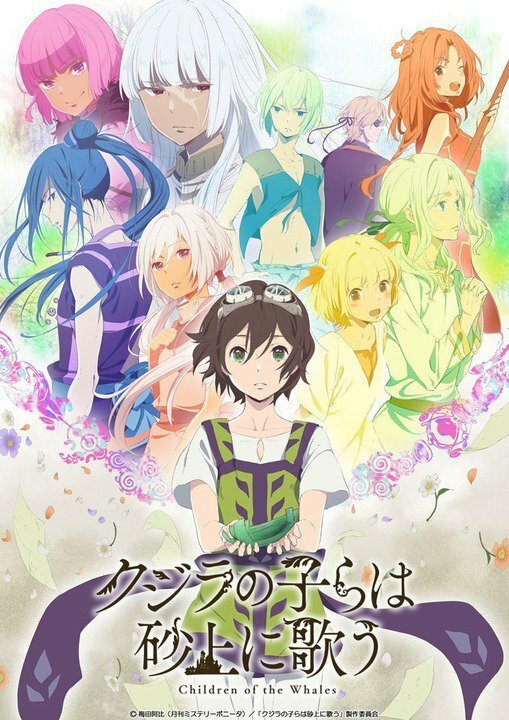 The protagonist Akira Fudo (Kouki Uchiyama) learns from his best friend, Ryo Asuka (Ayumu Murase), that an ancient race of demons has returned to take back the world from humans. Ryo tells Akira that the only way to defeat the demons is to incorporate their supernatural powers, and suggests that he unite with a demon himself. Akira succeeds in transforming into Devilman, who possesses both the powers of a demon and the soul of a human. The battle of Devilman and Akira Fudo begins. 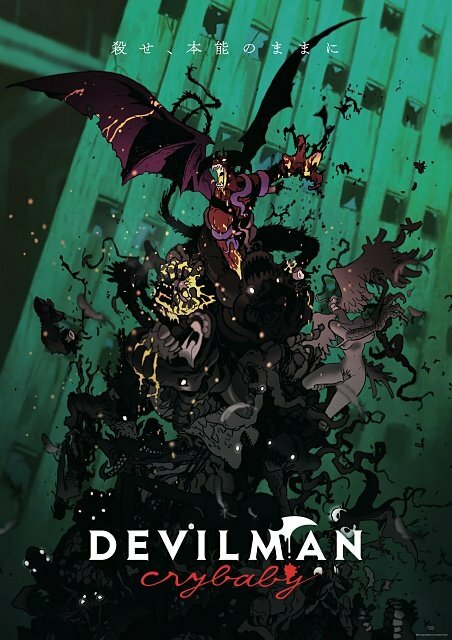 A brand new adaptation of the Devilman manga comes to life with director Masaaki Yuasa and his studio Science Saru. The Netflix Original series will span 10 episodes and celebrates the 50th anniversary of the manga’s creator Go Nagai. 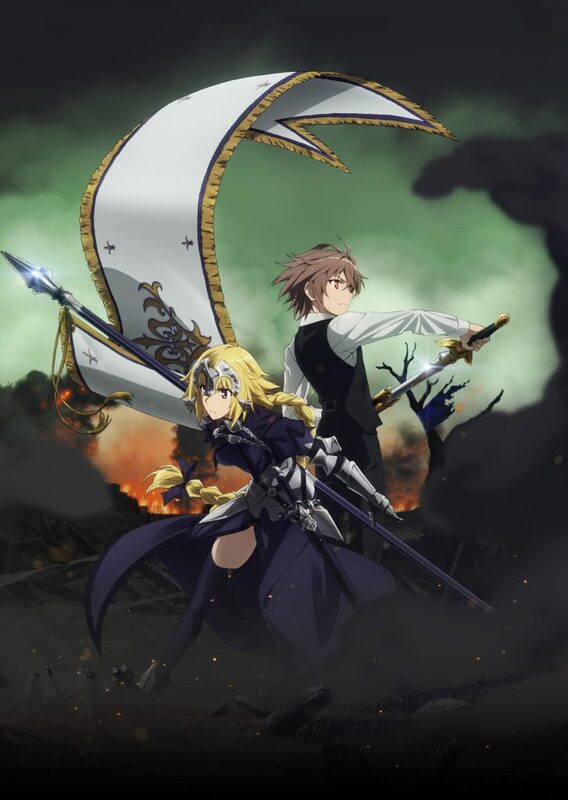 The year of Fate continues with the 26 episode series Fate/Apocrypha based on the novels. This is a re-imagining of the Fate/stay night universe and is currently already airing in Japan. Netflix have acquired exclusive streaming rights and will begin releasing the first half of the show before 2018. 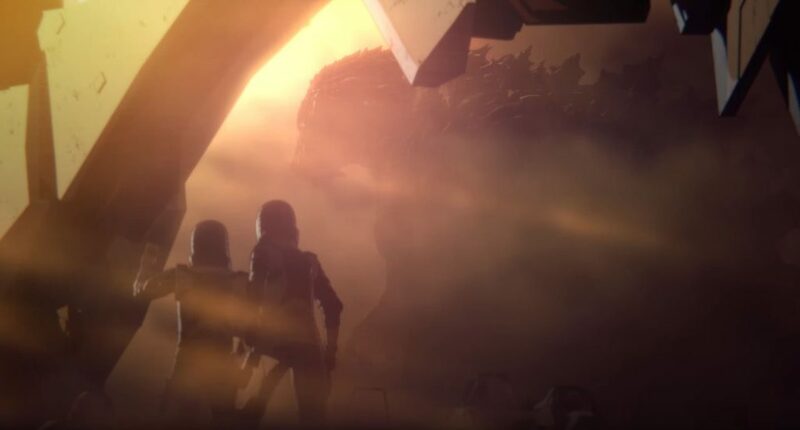 As mentioned in the previous article, the new Godzilla films will be a trilogy from the same studio who adapted Ajin, BLAME! and Knights of Sidonia; Polygon Pictures. The first movie in the trilogy will have a theatrical release in Japan sometime in October 2017 before becoming available to stream on Netflix starting November 2017. Live. Bet your life on it. 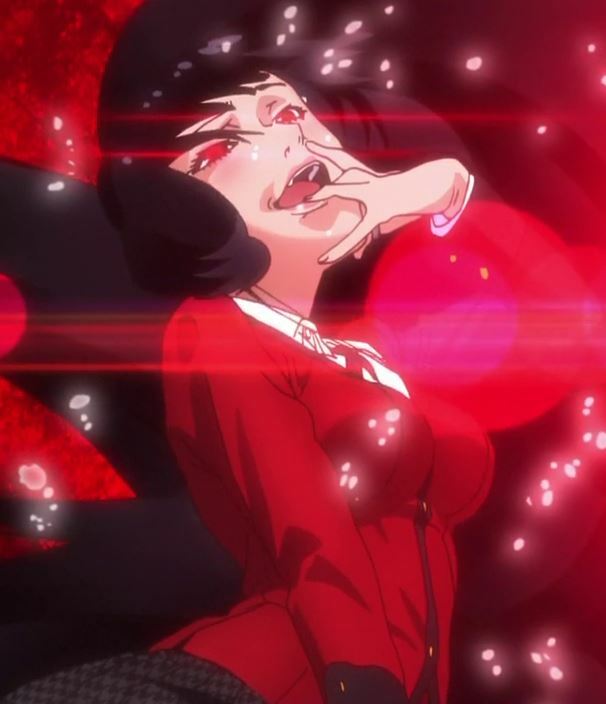 Studio MAPPA’s adaptation of the gambling manga Kakegurui has already aired in Japan, but folks outside the country will have to wait a while for legal streams due to Netflix’s exclusive rights. The show will offer 12 episodes and is currently due for worldwide accessibility in 2018. 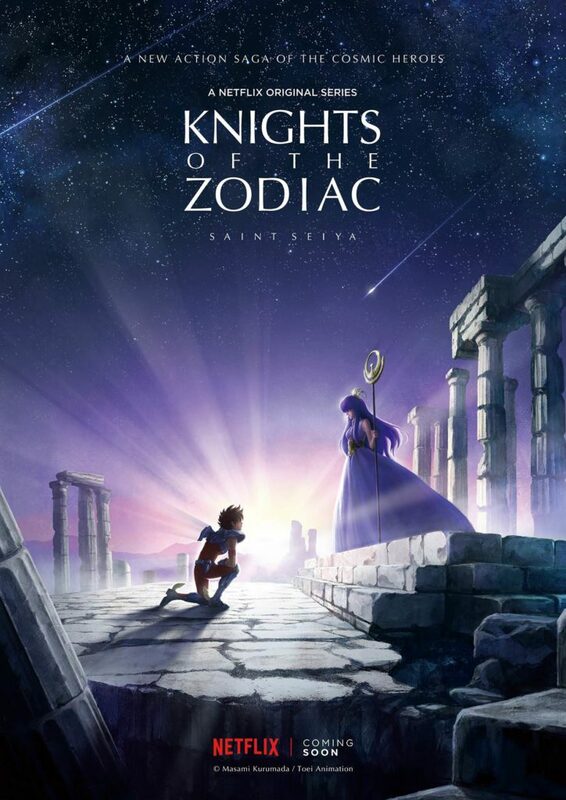 Coming out of nowhere is a brand new anime adaptation of the original Saint Seiya manga from director Yoshiharu Ashino and studio Toei Animation as a Netflix Original series. While it is an anime, the new adaptation will be written by a number of American writers; Benjamin Townsend (Thunderbirds are Go), Shannon Eric Denton (Avengers: Secret Wars), Thomas F. Zahler (Ultimate Spider-Man), Joelle Sellner (Ben 10: Omniverse), Travis Donnelly (Bull), Thomas Pugsley (Ben 10), Saundra Hall (Teenage Mutant Ninja Turtles), Shaene Siders (Avengers: Secret Wars), and Patrick Rieger (Justice League Action) with Eugene Son (Avengers: Secret Wars) will be helming the script. Terumi Nishii (JoJo’s Bizarre Adventure: Diamond Is Unbreakable) will be designing the characters. The anime will adapt the Galaxy War and Silver Saint arcs across 12 episodes. An co-production between LIDEN FILMS, Dwango and MAGES comes a new anime series. Tomonori Fukuda (Robotics;Notes) will be designing the characters and Deho Gallery will be providing the background art. Konomi Suzuki and Yukari Tamura were revealed to play the characters Rin and Finis in the show. 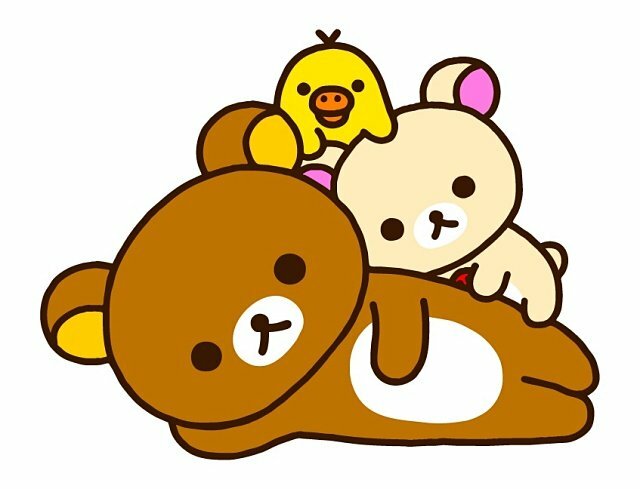 A new anime series based on Japan’s popular soft toy bear. The toy first went on sale by San-X in 2003 and to celebrate the 15th anniversary Dwarf Studios is bringing the toy to life in stop motion form with 13 episodes. A weapon that has drawn the blood of countless victims becomes legend, and at times takes on a life of its own. When such a weapon’s human host is filled with hate and murderous intent, he becomes a demonic combination of weapon and man that thirsts only for slaughter. An organisation has faced these dangerous beings over the centuries. A young man named Gai is destined to live as a weapon. As humans are enthralled by their weapons’ power, epic battles unfold with the fate of humanity in the balance in this battle action fantasy. 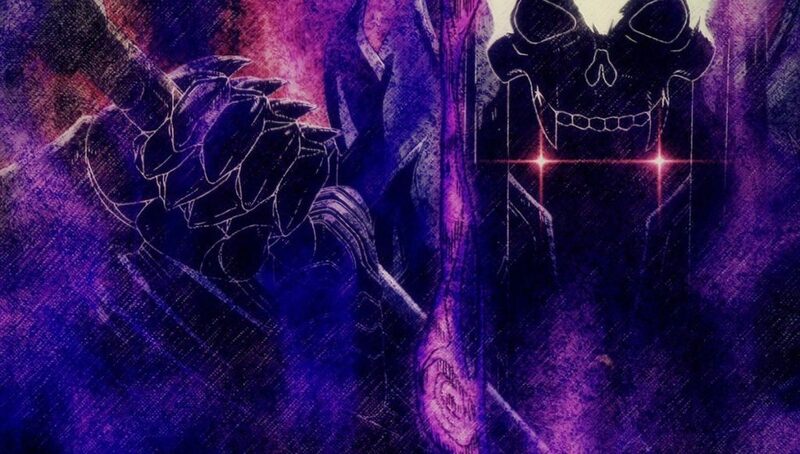 Based on the manga of the same name, Sword Gai gets a new adaptation from studio DLE and company Fields after an experimental CG short released a few years back. 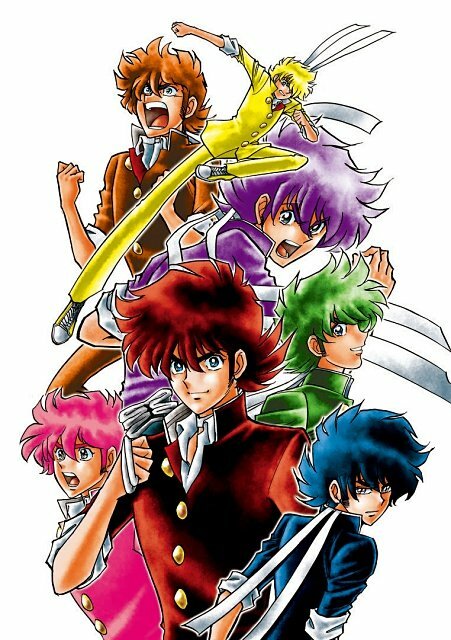 Toshiki Inoue will be in charge of the series composition. This series is also part of the Netflix Originals line-up. A new update to the article is a surprising addition to the catalogue. 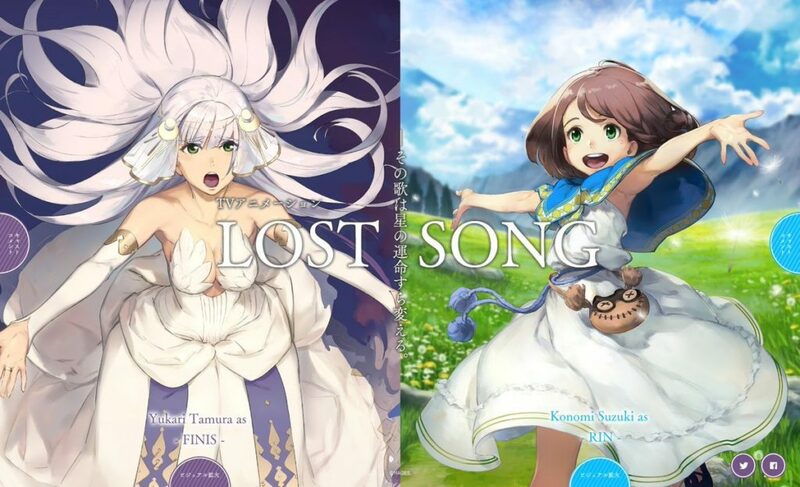 The new anime series from studio Kyoto Animation is heading to Netflix exclusively to their streaming services, and is based on a novel of the same name. This series has been in production for over a year and has been highly anticipated by anime fans, especially with an exclusive first episode screening unveiled at Anime Expo 2017 for the fans. And for another bonus addition to the list we have a live-action Japanese drama based on a manga ERASED (Boku Dake ga Inai Machi) also in the works for worldwide streaming during the Winter 2018 season. 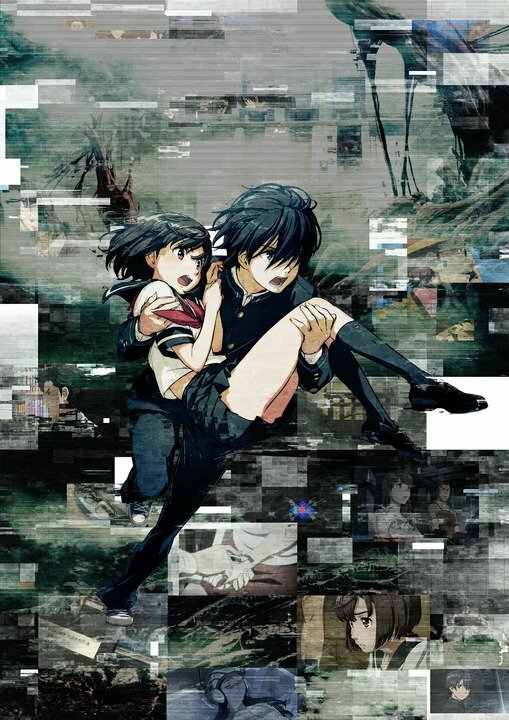 With the latest addition to the Netflix Originals line-up; BLAME! launching on May 19th, we take a look at the film among five other titles that are confirmed to arrive onto the service in the future – whether they just got announced for Japan at the moment or have placeholder pages setup in preparation.